Full time tutor with experience of over 15 years in coaching Mathematics for students doing 'O' Levels, Integrated Program (IP), IGCSE and IB program. Students have greatly improved under my coaching, 80% of whom scored distinctions in their exams. My coaching is simple yet impactful. Students will be able to grasp and apply concepts easily through my teaching. Offer 1-to-1 home tuitions and group tuitions of max 5 students. Contact or visit https://paulinemathtuition.wixsite.com/index for more info. 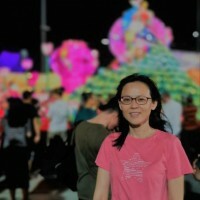 ManyTutors will check with Pauline Leong and will get back to you.